In the quest for flawless skin, we'll try almost anything: wacky cellulite gadgets, budget-busting face treatments… We'll even slap ourselves in the face if it promises a glowier complexion. There are plenty of skin conditions that can be eradicated with the right products and lifestyle changes (e.g., acne and dry skin). But try as we might, there are some that medical science just can't cure, no matter what your products or internet research tell you. Let's clarify what we mean when we say certain skin conditions "can't be cured." 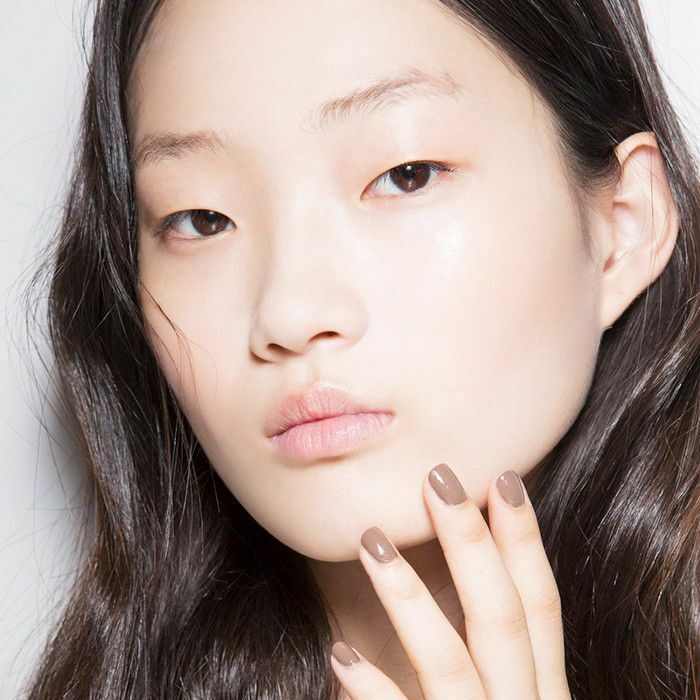 According to NYC dermatologist and founder of BeautyRx Neal Schultz, there are two types of "incurable" skin concerns: those that can’t even be minimally helped and those that can be treated, or "controlled," but come right back if the treatment is stopped. What makes a skin condition incurable exactly? "The reason is because they are caused by either an unknown functional defect or they are caused by a structural defect," says Schultz. So no matter what the label on certain products or services tell you, if science doesn't yet understand what causes a condition, or if science is unable to permanently change the structure of your skin, then it simply can't be "cured" yet. We know, this sounds like bad news. But we're here to help. Instead of shelling out hundreds of dollars on ineffective skincare, keep scrolling to learn once and for all which skin conditions can't be cured (plus what you can do to manage them). The bad news: Under-eye bags are mostly caused by a protrusion of fat that becomes more prominent in the lower eyelids with age, explains Curology founder David Lortscher, MD. Add a little gravity, collagen loss, wrinkles, and genetic predetermination and you've got yourself a pair of pesky little pillows under the eyes. According to Lortscher, you cannot permanently eliminate under-eye bags, and most eye creams and masks don't help. However, there are things you can do to decrease swelling and minimize that puffy appearance. The good news: "Proper head elevation during sleep, sleep itself, and decreased dietary ingestion of salt and alcohol are simple lifestyle changes that can help," he says. "Topical products containing caffeine may also reduce swelling." We recommend this eye cream from 100% Pure ($21). If you're open to more intensive treatments, laser therapies can help decrease the appearance of blood vessels, and fillers like Restylane can restore volume in the skin. "Surgical correction, or blepharoplasty, can lead to a semi-permanent solution," says Lortscher. "But remember, with age and volume loss, the under-eye bags can reappear." The bad news: Also known as "striae," stretch marks happen when the thick layer of tissue below your skin, called the dermis, stretches and tears. This often occurs after rapid growth or weight gain. "Stretch marks are difficult to treat because they are actually scars," explains Lortscher. Like most scars, they may fade over time, but they won't disappear completely. And sadly, there really aren't any great treatments for stretch marks. But what's most important to recognize is that stretch marks are incredibly normal and common—even most models have them, likely thanks to their six-foot growth spurts during puberty! The bad news: Rosacea generally refers to facial redness; dilated blood vessels; and small, acne-like bumps. "The cause of rosacea is still unknown, although some experts believe there may be several components at play, such as genetics, immune factors, and gastrointestinal infection," says Lortscher. Picture the little capillaries under the surface of the skin as the 'plumbing' of your circulatory system, he adds. "As you might imagine, there is no topical treatment that will remove these little blood vessels." So at the end of the day, the condition can't be cured completely. The good news: There are several things you can do to manage rosacea, like avoiding triggers that make you flush. "Some rosacea can be triggered by exposure, hot or spicy foods, alcohol, hot showers, and stress," says Lortscher. "Sun exposure can lead to worsening of redness, so make sure to always protect yourself from the sun!" To calm redness, Lortscher recommends using a sulfur masks once or twice a week, like Peter Thomas Roth's Therapeutic Sulfur Mask ($47). Topical products containing glycolic acid, metronidazole, tacrolimus, and azelaic acid can also help, adds Schultz. The bad news: I am very familiar with keratosis pilaris (KP), as is about 50% of the population. "It is a very common genetic skin condition that is acne-like, but not acne," says Lortscher. KP consists of rough, dry bumps caused by the buildup of dead skin cells in the hair follicles. It is most normally found on the back of the upper arms and thighs. Unfortunately, since KP is genetic, it is "incurable and persistent, even with treatment," says Lortscher. The good news: Alpha-hydroxy acids help dissolve the glue that holds these bumps together, allowing the dead skin cells to shed more easily, so over-the-counter lactic and glycolic acid topicals can help. Try AmLactin's 12% Lotion ($19), BeautyRx's Daily Exfoliating Body Therapy Lotion ($50), and DermaDoctor's KP Duty Body Scrub ($46). Some also find coconut oil very helpful, says Lortscher, though it's not recommended for facial use. Schultz also adds that the condition tends to go away on its own in your late 20s or early 30s. The bad news: Another common yet chronic skin problem, melasma refers to dark facial pigmentation. "The cause of melasma is complex, and genetic factors may play a role," says Lortscher. Known triggers include sun exposure (the most important and avoidable risk factor); pregnancy (though pigment often fades a few months after delivery); and hormone treatments, like birth control. Treatment for melasma is tricky, and the problem often persists for decades, says Lortscher. The good news: Research for melasma is ongoing, and better topical treatments may be on the horizon, Lortscher assures. As far as existing topical treatments, the prescription medication Tri-Luma is the "gold standard" for the condition, so it's worth asking your derm if the product might be right for you. In the meantime, doctors agree that sun protection and avoidance are the easiest and best ways to minimize melasma. The bad news: Eczema is a sort of catch-all term to describe any sort of skin inflammation. It can be caused by virtually anything, from food allergies to environmental factors to stress. The good news: Eczema is another one of those conditions that can be easily controlled, if not cured. Emollients, topical antibiotics, and steroids are all effective treatments, says Schultz. Of course, when treatment is stopped, the condition returns after a certain period of time. But as long as you stick to applying your Bioelements Extremely Emollient Body Creme ($39) or prescription steroid cream regularly, you should be able to keep your eczema in check. Next up, ever wonder what a pimple actually is? Check out our graphic showing the life span of a pimple—from how it's born to how it lives to how it dies. This story was originally published on July 25, 2016.